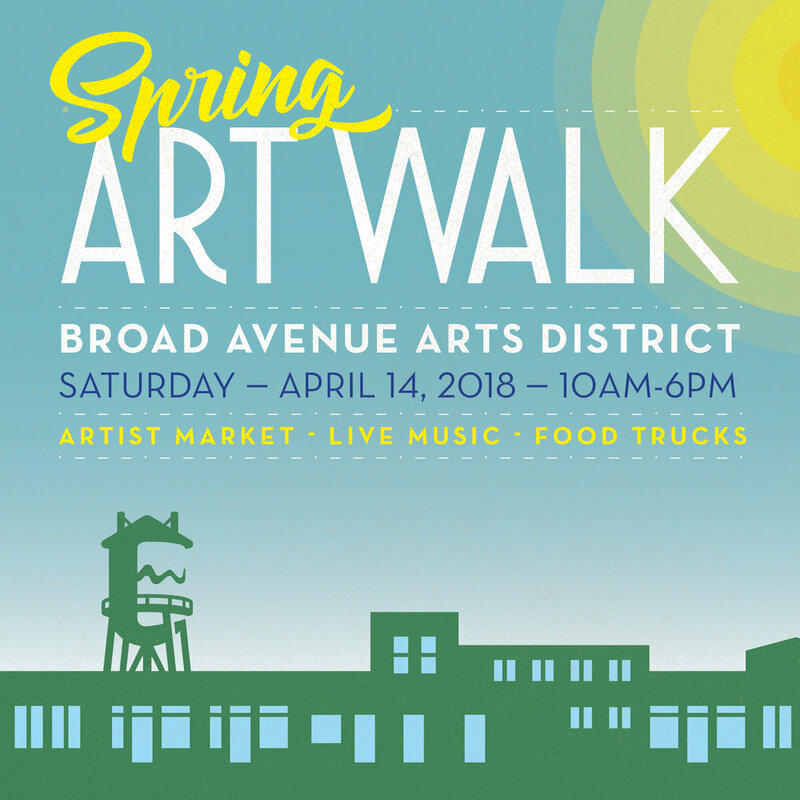 Come shop new spring art and goods from your favorite local artists that will be set up in participating shops. 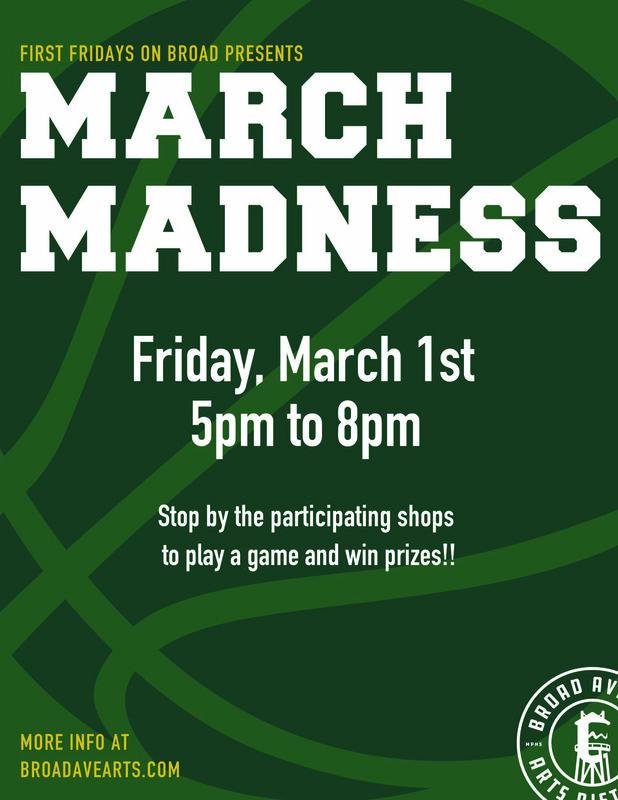 Visit the participating shops of Broad Ave to play games and win prizes and discounts! 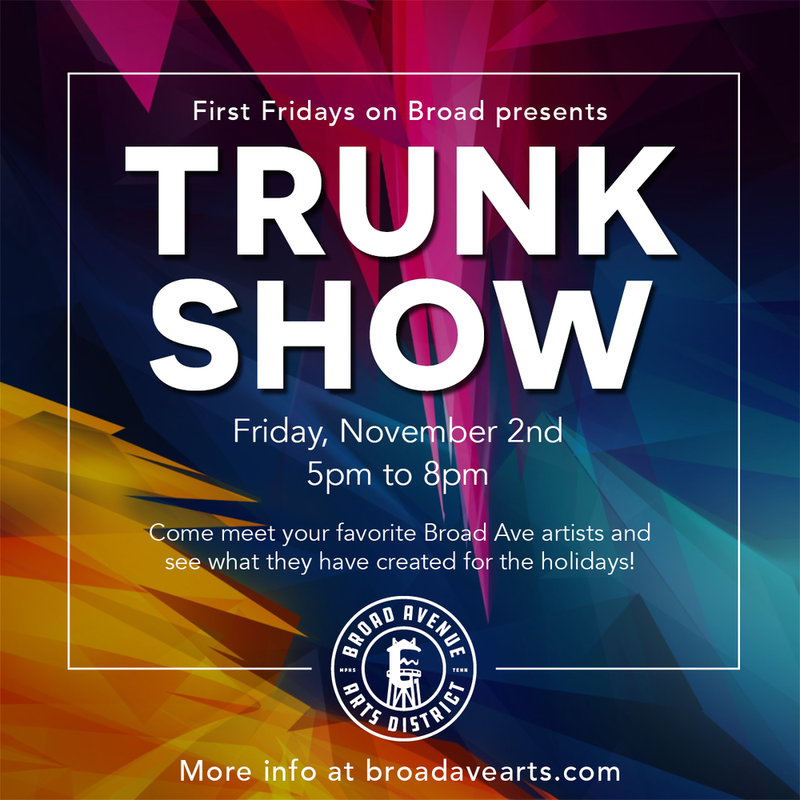 Meet your favorite local artists and makers in the shops on Broad. See all the new things they have for the holidays. Paper&Clay and Question the Answer will be hosting a Dia de los Muertos party with Latino Memphis to celebrate the launch of a limited edition ceramic line with Lauren's sugar skull design in a gold decal on Brit's mugs, ornaments and jewelry dishes. These will be available in shop only (not online) and 10% of each sold will go to Latino Memphis. Everbloom Designs will have their holiday photo installation set up and ready for you to snap a pic. Merchants on Broad will host Seetos Naturals soaps, candles, bath bombs and more. 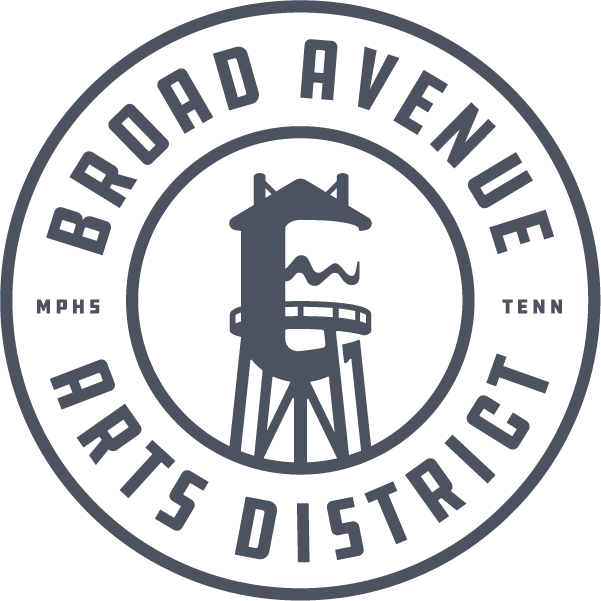 Broad Avenue's annual sidewalk sale! More than just good deals. Memphis Friends of the Library will have a great selection of $2 books and merchandise such as tees, bags, earrings, necklaces, book lights, pens. All proceeds benefit the Memphis Public Libraries. Madewell (Saddle Creek) will be set up with their denim cart in front of Falling Into Place. Donate an old pair of jeans and you will receive $20 off of a future pair of Madewell jeans, a free tote, some popcorn, and water! 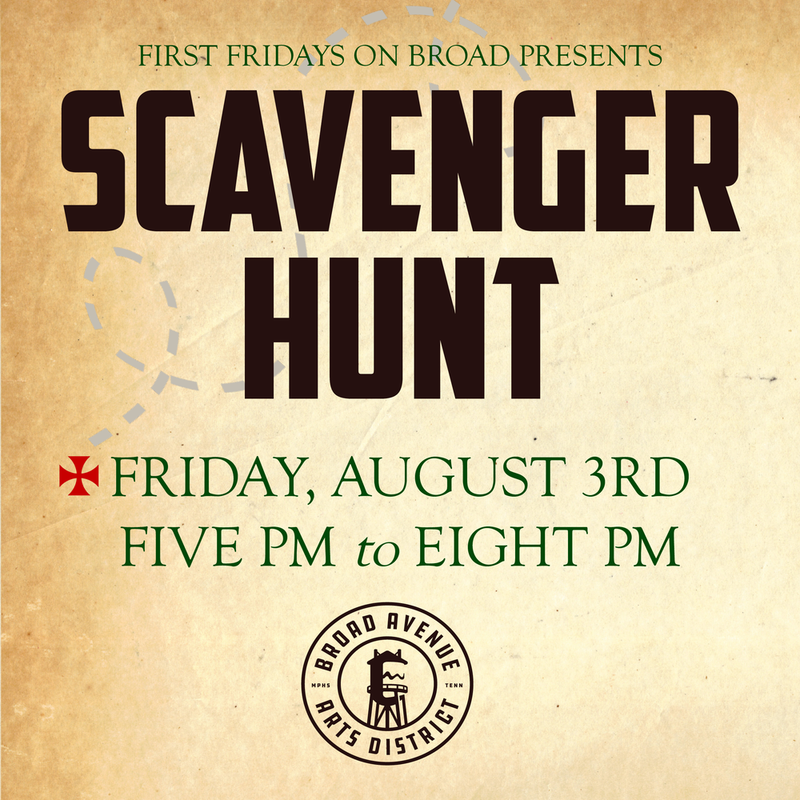 Come to Broad Avenue for some scavenger hunt fun!! Grab a clue card at any participating shop. When you complete the card, turn it back in (at any participating shop) for a chance to win prizes from the shops of Broad Avenue! As always, thanks to Kitbash Brand Design for the artwork! July's First Friday is all about keeping you cool! T Clifton Art - refreshing, flavored fizzy waters. Pedaltown Bicycle Company will be open!! The Cove Bar - drink specials and Big Barton will play at 9. 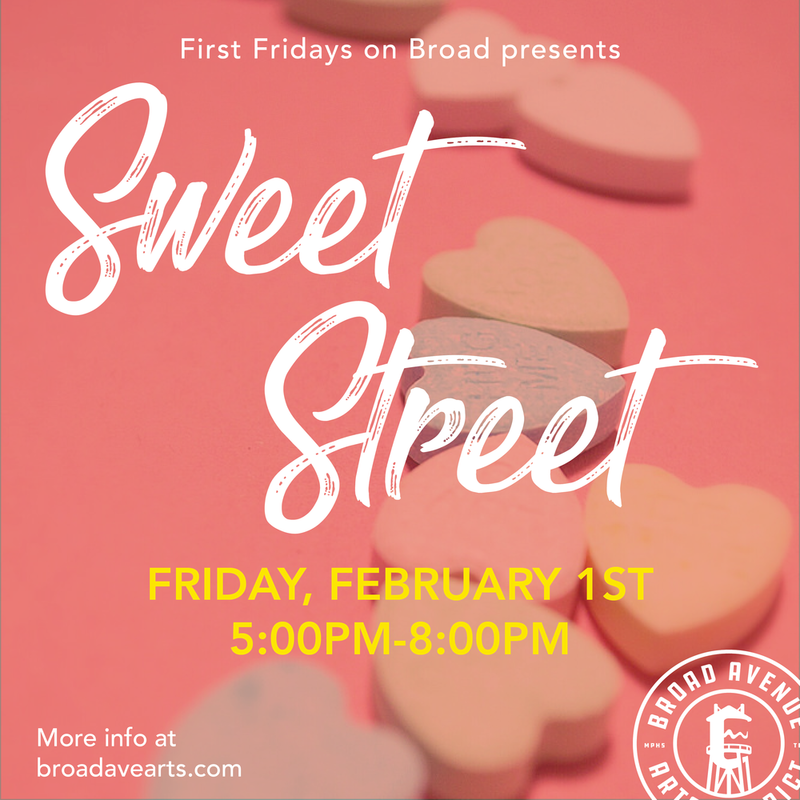 Join us for our furriest First Friday of the year! Falling Into Place Style Your Doggie with local fashion stylist Styled by LD. Five in One Social Club will have Amurica photo booth in front of their shop. Paper&Clayand Question the Answerwill host local artist Maggie Russell. Stop by their studio on Hollywood to sign up. Maggie will snap a photo of your pup to work from then you can pick up your sketch at the end of the event! Merchants on Broad will host a pet / owner look alike contest. Hollywood Feed will have a free gift with $15 purchase and a drawing for a cake from their bakery on Union! The shops of Broad Avenue will have gifts, goodies, and discounts to celebrate all the spectacular moms! Stop by 5:00 - 8:00 and feel the love!